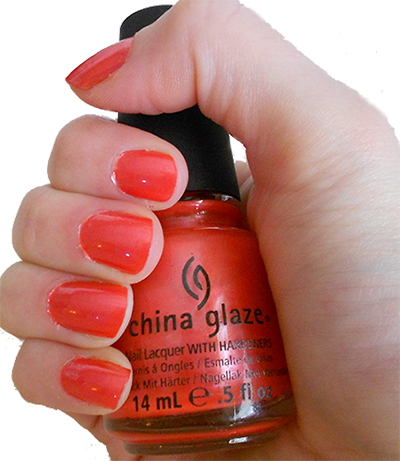 China Glaze Coral Star #70346 is a beautiful shimmery coral colour. The polish has a more orange than pink tint to it. The polish has a beautiful pearl shimmer to it and is perfect for spring and summer. China Glaze Coral Star looks best with two coats applied. It looks beautiful with or without a beautiful summer tan. I highly recommend this colour for the summer and I will be rocking it all summer long. I always purchase my China Glaze nail polishes as Sally Beauty Supply as they always have great deals.